XY Planning Network is committed to offering passes at prices far below industry standard. With the support of our sponsors, we're able to provide the best value in the business, just $299 for XYPN members and students and $499 for non-members. 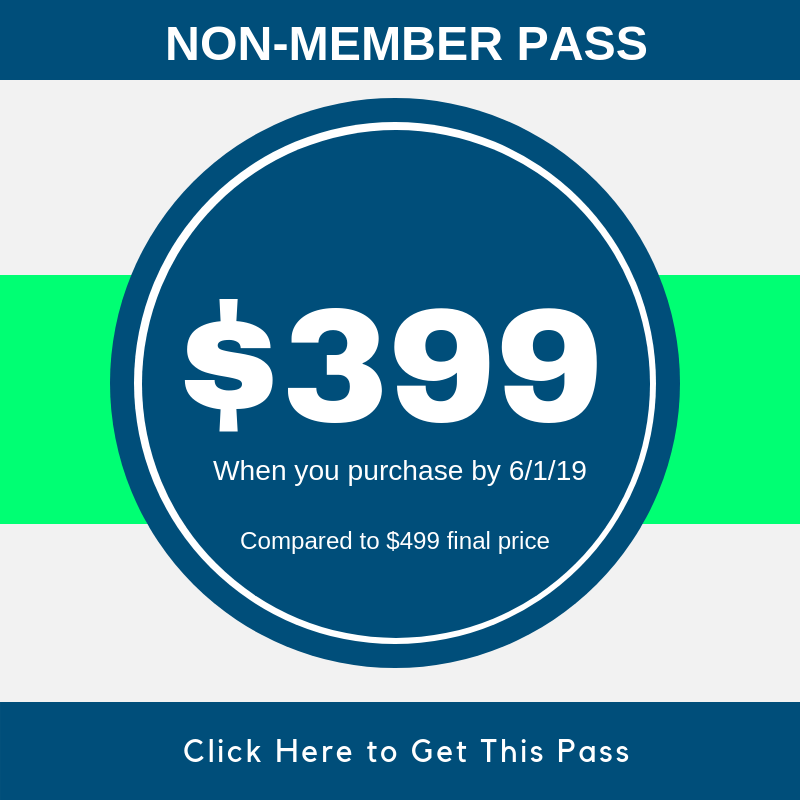 Take advantage of our Early Bird Special through May 31, 2019 to get an even lower price on your pass: $249 for XYPN members and full-time students* and $399 for non-members. Passes include access to our opening reception and wrap party, as well as scheduled meals and much more. *To qualify for student pricing, you must be enrolled as a full-time student at the time of the event. Students are required to provide their school email address to register.